New York, Feb 1: Due to increasing disturbances and attack on Human rights in the Central African Republic, the UN Security Council decided to extend its sanctions regime on the CAR, which includes arm embargo, travel ban and assets freeze until 31 January 2020 on Thursday. With this UNSC also expanding the mandate of the Panel of Experts assisting the Central African Republic Sanctions Committee till 29 February 2020. From 2013, Central African Republic has been tormented by interreligious and intercommunal fighting, the violence has intensified and spread in the past year. 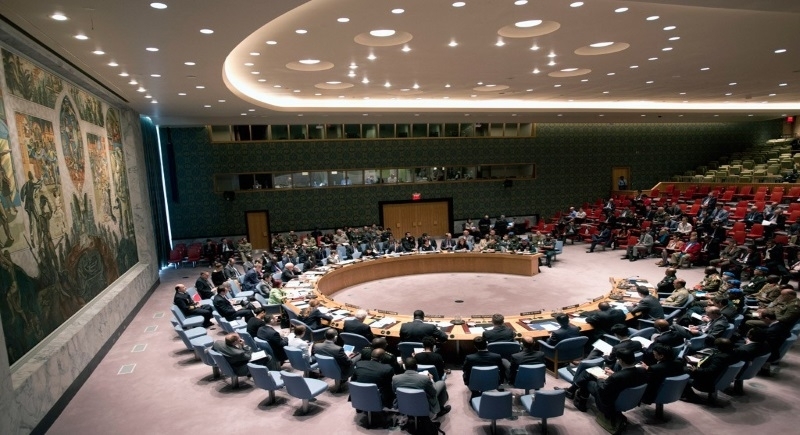 The resolution 2454, the French-drafted resolution says the council aims to establish benchmarks by April 30 on security sector reform, the demobilization and reintegration of combatants, the management of weapons and ammunition that could guide a review of the arms embargo. The embargo is an official ban, Arms embargo is a prohibition or sanction against the export of weaponry and dual-use items, goods which have both civil and military use. The resolution asks the panel of experts monitoring the arms embargo and sanctions against individuals, which also extended, to assess progress on the benchmark by July 31, and said the council will review the arms embargo measures by September 30. France’s U.N. Ambassador Francois Delattre said the government’s “message was heard loud and clear” and the roadmap “could in a few months time” lead to the lifting of the arms embargo. The resolution adopted Thursday welcomes “the significant efforts made by the CAR authorities” to advance security sector reform, including by developing a national defense plan and national security policy.